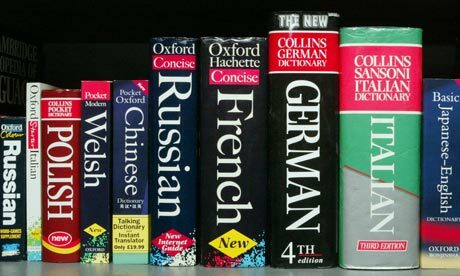 Do you have a fixation on words and languages? Do you fancy yourself speaking more than one or two languages? Luckily for you, technology has made it easier for self-motivated people to learn new languages. While there are still a lot of ways you can learn formally, there are also countless language apps which can either serve as your main source of learning or as a supplement to your formal program. With the amount of language apps out there, it can be a daunting task to choose which one to actually use. Let’s help you get started with these language apps you’ll find useful. First things first. Before looking for language apps, make sure that you have a clear idea of what language you want to study. There are some people who suddenly get the inspiration to learn a language, but don’t really have a clue as to which language. One thing that can help you decide: travel plans in the next months/years. If you’re interested in visiting Asia, for example, you might want to learn Thai, Japanese, or Chinese. Another factor: languages which are spoken most around the world. Spanish and Chinese are at the top of the list. You might argue it’s not really an app, but Rosetta Stone is the world’s most known language learning software, and while there are some who do not swear by it, there are more who have learned a language using this program. The beauty of this system is that you can choose from a wide range of languages – from English to Tagalog to Vietnamese to Urdu. It does come at a price, although if you hurry, they have a Black Friday special going on! Babbel is another well-known brand in the language learning scene. You can sign up for courses via their web site, but if you want to access some of their resources for free, the their iPhone language apps are ace. You can choose from German, French, Spanish, Italian, Portuguese, Swedish, and English. The apps offer vocabulary and useful sentences, as well as audio samples spoken by native speakers of the target language. WorldNomads is focused on travelers, and their language apps are not different. Still, if your main reason to learn a language is to be able to get by during your trip, then the iOS language guides might become your best friend. They’re free, and yet they’re packed with useful words and phrases that will help you more than get by in the local language. Rocket Languages is one of the most popular online tools for language learning. They have a good selection of languages as well, and they have both free and paid services. This year, they launched their Android app, which allows free and premium users to access their resources for free. If you’re an iOS user, don’t worry as they are already working on getting an app out for that platform as well. If you are looking to get started in Thai language there are a number of schools and universities offering intense courses in Bangkok.